Microgaming takes slots players to the underworld in this cartoon parody of hell. Built on the back of 5 reels, 20 fixed pay lines and a hefty multi-level bonus structure. 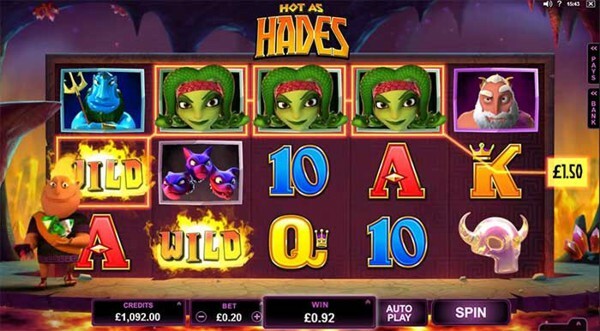 The Hot as Hades slot offers spins from just 20p, incorporates super mode technology for additional free spins and pays the bravest of heroes up to 100,000 coins. Set in the underworld of Greek mythology and with bizarre tongue in cheek humour, Hot as Hades puts a cartoon spin on Mount Olympus and its Gods. The online slot follows underworld God Hades and his troublesome quest for the crystal helm. Battling Zeus, Poseidon and the snake-permed Medusa in a bid to help casino players win real money. Betting takes place on 20 fixed pay lines with spins from 20p to £50 affording flexible options for cash players; there’s also the option to play Hot as Hades for free in most UK online casinos. Major plus points include five bonus levels, a free spins super mode and a competitive 96.75% payout rate. Microgaming as given us a well designed slot with RNG logic and user interaction. This gives us a energetic, entertaining and potentially rewarding slots game. 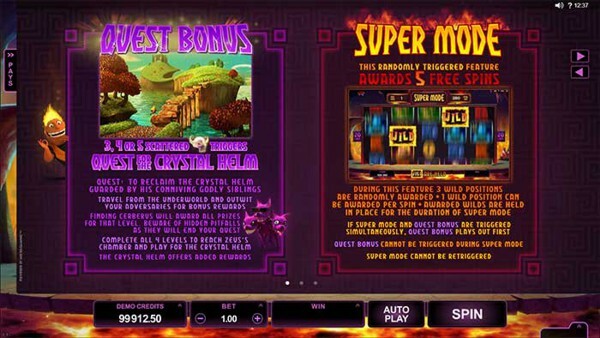 The Hot as Hades Slot uses the very latest Microgaming has to offer. It’s a combination of powerful animation sequences I:e fireballs, boiling lava and flame-haired Hades. All this and then coupled with superb graphics and a booming sound score makes it highly engaging. Playability scores high thanks to the slots payout rate, the multi-tier bonus levels and a high tempo free spins concept in the base game. The Hot as Hades Slot Paytable features preferred and proven Microgaming symbols layout with lower, medium and high-value bonus icons forming the games payout structure. Low-value symbols are the notable card values of 10, J, Q, K and Ace whereas medium symbols introduce various Greek mythology characters and Gods. Zeus, Medusa, Poseidon, Hades and three-headed dog Cerberus make up this middle table and pay favourable to winning slots players. If however you’re playing Hot as Hades for real money and want the top aspects, look out for the games logo (Wild) and the crystal helm (Scatter). One pays the jackpot, and the other activates one of online slots biggest bonus games to date. Real money slots players will find Hot as Hades appealing for the games features alone, if you’re betting £50 per spin the returns are potentially huge, although the safer 20p per play still carries weight. Lucrative features include a Super Mode Free Spins round that uses held Wilds to increase winning capacity, and a multi-level core game titled the Quest for the Crystal Helm, without doubt the slots most anticipated payout function. Spin the reels in the base game and you could find yourself lapping up five free spins courtesy of the slots powerful Super Mode facility that triggers at random. During Super Mode, an on-screen character event can occur turning a symbol position Wild, known as a Held Wild transformation that remains in place for the duration of the Free Spins Super Mode. Players can expect 3 random Held Wild symbols (at a 2x multiplier) to be awarded during this feature.Look out for some flaming air guitar, a fire flicking Hades and some Big Wins! Spin 3, 4 or 5 Scatter symbols and you’ll activate the star of the show, the Hot as Hades Slot Quest for the Crystal Helm. Not only does this multi-level feature boast some of the finest animation currently within igaming, but it’s also one of the biggest features of its kind. The Quest for the Crystal Helm is hugely interactive, adopts the principles of pick and win across five different mediums and offers up to 100,000 coins in its final stage. Using various characters and creatures from Greek Mythology, Hades takes the player on a quest for real money riches within five levels. The Pillars of Awesomeness, Medusa’s Maze, Poseidon’s Ocean, Zeus’s Stairway and the Chamber of the Crystal Skull. The Hot as Hades Slot also uses standard Wilds and Scatters during gameplay, Wilds that substitute for other symbols to increase winning capacity and Scatter wins that multiply by the total bet staked. Hot as Hades is a 20 pay line video slot with each of these lines fixed for maximum betting coverage. 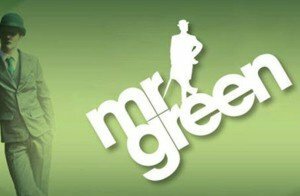 It’s a design from Microgaming that allows players the best possible outcome should a winning event occur; it’s also fairly economical from just 1p per pay line. That’s a cost per play from just 20p per spin at the lowest stake possible with bets of up to £50 per play available at the other end of the spectrum. The top jackpot is 8000 coins although payouts of up to 100,000 coins exist within the main bonus game. The Hot as Hades Slot payout rate is 96.75%. Microgaming’s tongue-in-cheek cartoon conquest of the Greek Mythology slots genre puts other games in the dark and will no doubt prove popular online. As of Summer 2015 (time of writing), Hot as Hades is on fire, and there’s no sign of the flames burning out anytime soon. UK Slots players will love the scale of the main bonus features, the jaw-dropping visuals and the value for money at 20p per spin with 20 fixed lines all covered. Play on a big screen, stick on some headphones and spin for real money, this one’s heating up!